Barely 26 years old, Uju Marshall is one of the most popular models in Nigeria right now. 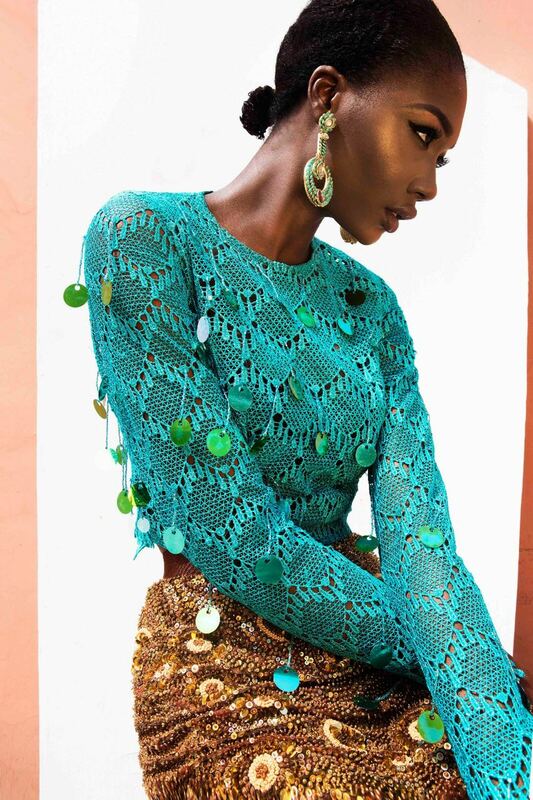 She’s the new fashion heartthrob whom designers are obsessing over, winner of several modelling awards, this beauty opens up on her journey, her aspirations and the Nigerian modeling industry. Born in Enugu State, Eastern Nigeria, she got scouted by an agency back in 2010, while still an economics student at university. 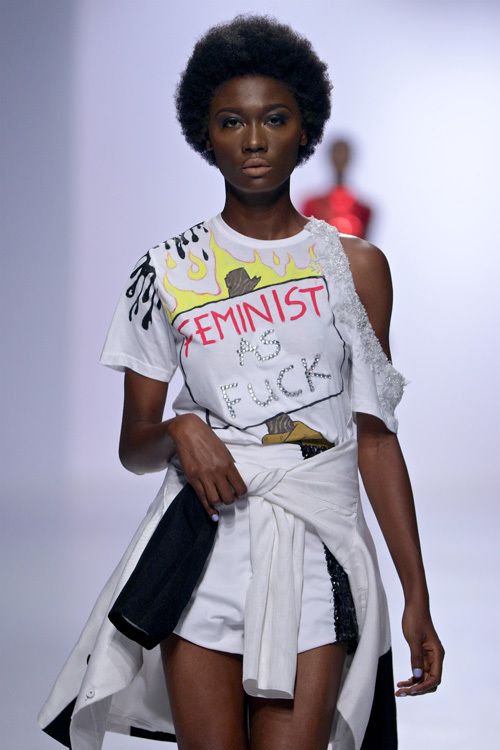 Only 19 years old at the time and a move to Lagos later, her career simply took off: from fashion editorials in magazines to becoming the face of beauty brands and the very best Nigerian designers (Orange Culture, Iamisigo, Andreah Iyamah), not to mention her win as best model of 2014 at the Lagos Fashion & Design Week then her nomination at the 2016 Nigerian Entertainment Awards. 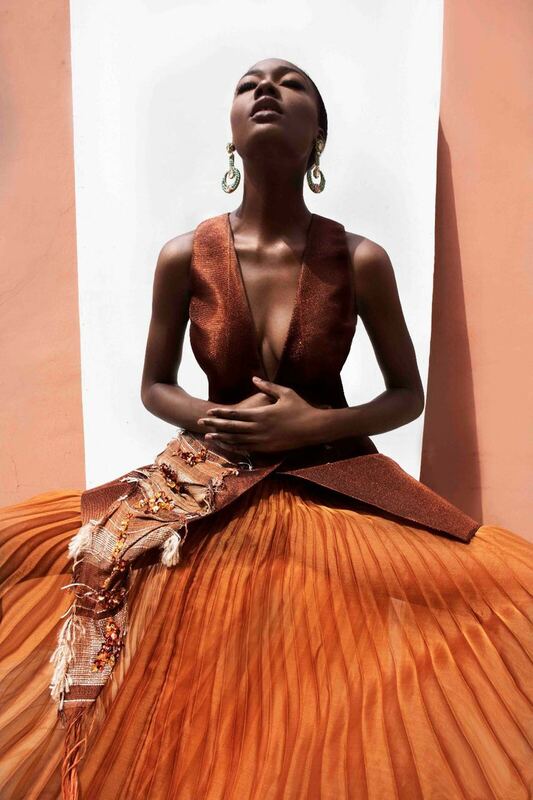 Uju Marshall is a star on the rise and one of the African top models to keep a close eye on. I love everything about modelling. I love being photographed, to connect with people’s ideas and to make it come to life. Modelling is also a way of expressing myself in different angles and lights, to express something inside me that you can’t physically see, but when i’m walking the runway or posing for a photograph you just see it. When designers choose me for a lookbook, it means a lot because they trust me, see something inside of me to that can interpret their brand and story and I really appreciate that opportunity. Is it hard being a model in Africa? I think modelling is hard everywhere, but the challenges are not the same in Africa. People neglect the industry of modelling in Africa, they don’t really take it seriously. If you say you’re a model people are telling you “Are you a prostitute?” It’s not really established as something you can do as a profession. Hopefully, things are changing and it’s growing from year to year. For example, in Nigeria we don’t have a lot companies related to modelling. When I began my career in 2010, at that time there were only 2 modeling agencies, now there are much more. International press are coming to our fashion weeks, which is more exposure for designers, models and photographers. I think to push modelling in Nigeria, we need to convince investors to invest in the real established agencies that we already have and to develop scouting. 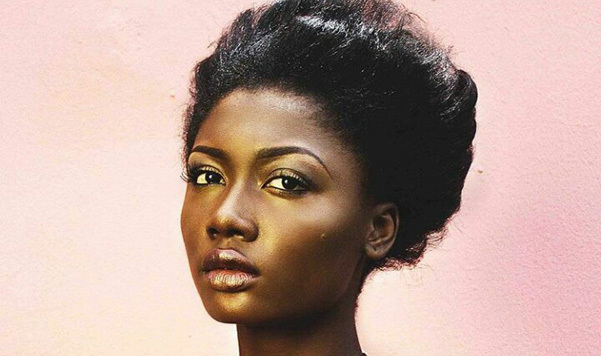 But, because of the lack of funds and sponsorship, Nigerian modelling agencies are struggling. Are you making a living of modelling? At the level at which I am, I’m making a living of it. But I can’t guarantee you it’s also like that for everyone. 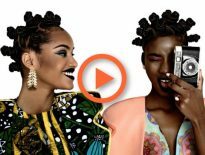 What do you think of the African fashion scene in Nigeria? 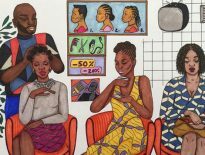 The African fashion scene in Nigeria is taken seriously now. Everyone is trying to create something that will appeal not just to Africans but to the world in general. Back in the days, African designers only used prints. Today, they are no longer fall only into the stereotype of Dutch wax prints. Now it’s going beyond that and it’s deeper and deeper because they are very creative and taking inspiration from their heritage. You won a lot of prizes, work for amazing designers, what is the next step or goal for you? I want to leave my comfort zone and enter into the international market by booking campaigns… And I believe it’s possible. Personally, I don’t like to limit myself because of what people can say, like that in the international market they don’t like African models or that they don’t book black models. Maybe they don’t, but it doesn’t mean it’s not going to happen. I think the right time hasn’t come for me now, but I will keep on trying and working to achieve this dream. What could you advise girls who would love to model? My advice to anyone is to be patient in life. If you have no patience, you’ll never get to the right direction. Then, vision is key because without the vision, you have no destination. I love Gozel Green because they are very creative, play around with cuts and colors. I love as wel,l Maki Oh. She’s very precise, minimalist, chic and I love the way she pays attention to details. And I’m also in love with Orange culture, it’s easy to wear, fun and unisex. Do you have a beauty ritual? I don’t do much, so my beauty routine is very simple : i drink a lot of water, i exfoliate my face 3 times a week, mask my face once a week and moisturise my body with shea butter.